Collection of famous Rosicrucian proverbs, true sayings and wise words. Use words and image sayings to keep you moving forward! 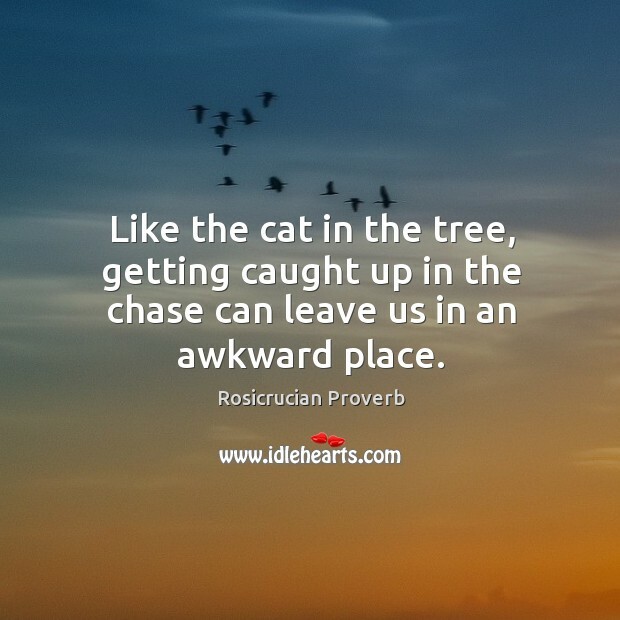 Like the cat in the tree, getting caught up in the chase can leave us in an awkward place. 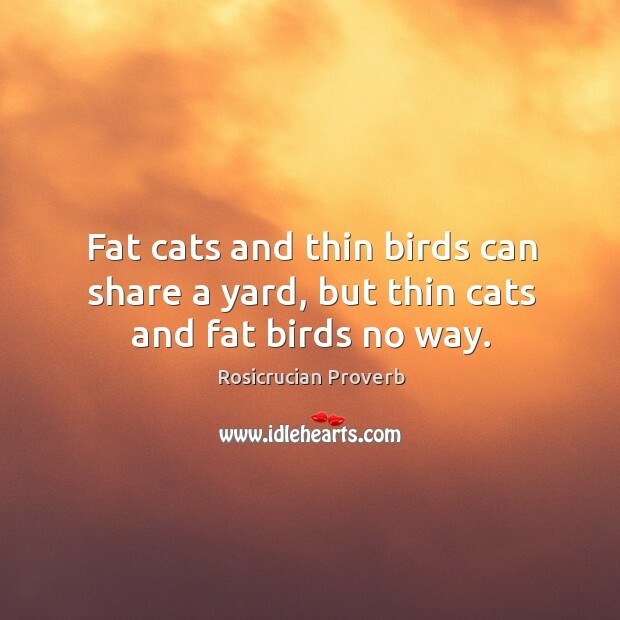 Fat cats and thin birds can share a yard, but thin cats and fat birds no way.